Fred Remien passed away February 2, 2019 in Enumclaw at the age of 95. He was born May 10, 1923 in Fredonia, North Dakota to Robert and Emma Remien. Fred moved to Enumclaw with his family in 1955 where he lived until his death. He worked as a sheet metal worker at City Sheet Metal until his retirement. 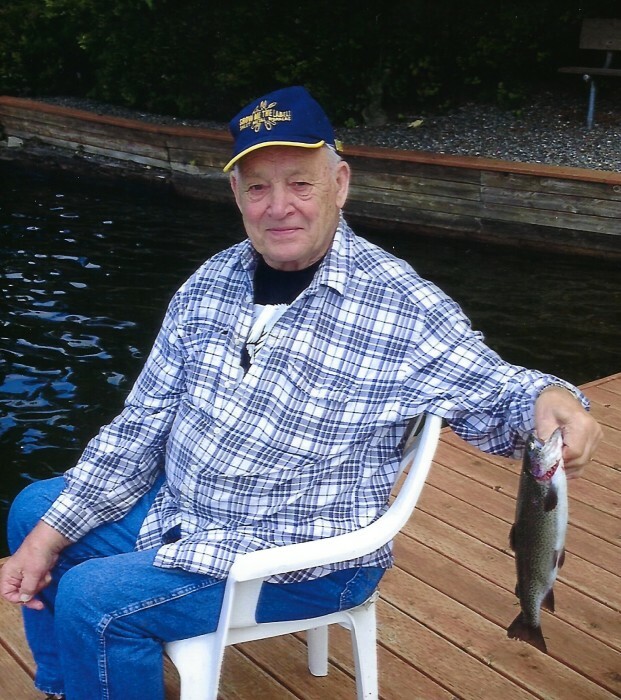 Fred loved fishing and was a member of VFW Post 1949 in Enumclaw. Fred was preceded in death by his wife Maggie in 1997 and his son Tom in 2011. He is survived by his sons Don (Vickie) of Charlo, MT and Bob (Dawn)of Enumclaw; daughter Jo Ann (Dave) of Enumclaw; daughter-in-law Fran of Snohomish, WA; and multiple grandchildren and great grandchildren. Visitation will be at Weeks' Enumclaw Funeral Home on Friday, February 8, 2019 from 4:00-8:00 p.m. A funeral service will be held at Trinity Lutheran Church on Saturday February 9, 2019 at 10:00 a.m. Burial will follow at Enumclaw Evergreen Memorial Park.